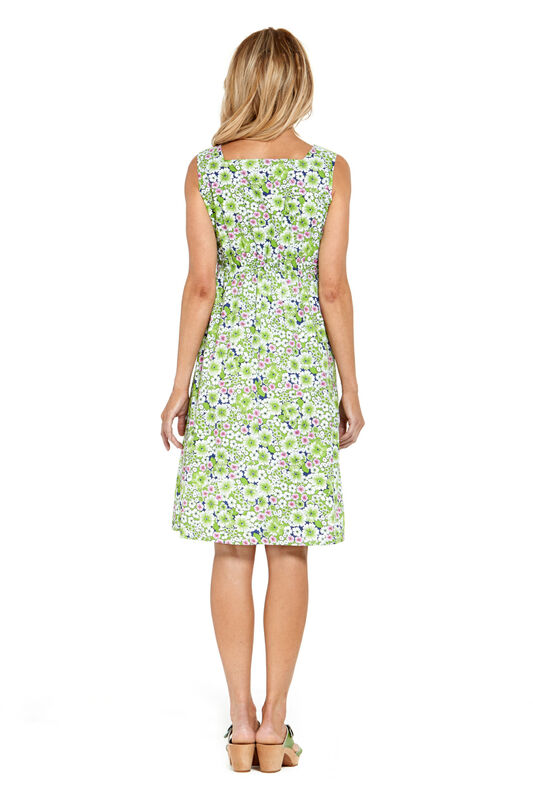 Meet our New Rosie Dress , she's a beauty in our exclusive reproduced Vintage "Meadow "print. With a thin line of elastic mid back so the fit is perfect , wide shoulder straps & front pockets for stuff ! So easy to wear , the Rasaleela " Rosie " dress has got summer written all over it . An all–occasion dress from morning to night, flats to heels – the choice is all yours.